This past week I have devoted time to prepare for the 30-day challenge known in writing circles as NanoWrimo. Or, National Novel Writing Month. As it happens there is also a site for nonfiction writers. I signed up for both, mostly because nonfiction inspires me, but the fiction site has better progress tracking devices. And easier communication between participants. In any case, I am going to make a concerted effort to develop the rough draft for the balance of my manuscript, Why Me? Which brings me to the thoughts which have followed me about during this time of preparation. The first has to do with how we master, or remaster a skill or character attribute, or how we manage the time allotted for all our pursuits. For this I have my wood stove to thank. 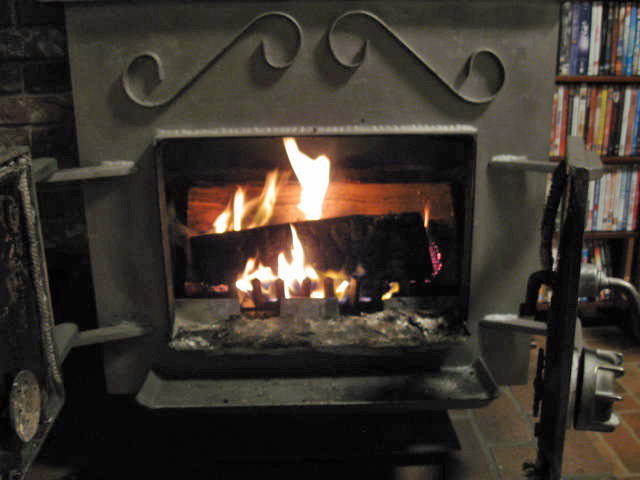 Many years ago I lived in Montana and wood stoves were an everyday part of life. In the morning you check the coals, stuffed the box and urged it to full flame, closed the door and forgot about it until early afternoon. Then you stuffed more wood in, closed the door and ignored it until bedtime. At that point you damped things down, and, well, in the morning you likely had nice hot coals to start all over. Easy. Well, maybe not. My new home has a wood stove. It’s a monster of a thing that at full throttle can run me out of the house. But it, in combination with the softwoods of the Pacific Northwest, can be temperamental. It is not unusual to check the box in the morning to find a cold, half burned log resting in the grate. I have learned, after a bit of instruction from a neighbor, how to nurture my fire during the day so that it neither gets over excited with roaring flames seeking the free air above the roof line, nor dies a sudden death leaving me with cold, charred, logs. Writing and research are a bit like that. If you want to contribute something of value in the world of nonfiction (or fiction), you need to nurture the flame. It is of no help to run off on a tangent exhausting yourself and ending up with pages of barely intelligible musings with no basis in facts or logic or anything slightly related to acceptable story structure. Nor can you afford to be so remote that passion for the subject dies a cold, charred death rotting away somewhere on your hard drive. Nanowrimo is the starter log for many writers, the initial flame that helps build the fire to a level that can be maintained by adding fuel and substance in a regular and productive manner. That brings us to thought two, inspiration. Webster defines it as “something that makes someone want to do something or that gives someone an idea about what to do or create: a force or influence that inspires someone.” Yeah, that. Some years ago when I was going through a particularly difficult time, my husband-to-be suggested that I look for a book to read. Not just any book, but something that was connected to the things I like to learn. I chose a book about Hatshepsut. Within a few days I was back on the phone chattering away about some correlations I had found between the information provided and something else I had tucked away from some other reference. In the middle of a conversation he started to laugh. Then he explained. Whatever had been depressing me was long gone. As soon as I was back in my own world the pull of research, the love of the hunt for knowledge, well, consumed me. This past week that feeling has been growing again. As I begin to collect the references and support that I need to build my manuscript, the more I felt drawn into that special space where ideas begin to link, to spark, to grow into a fire. I do have a rather extensive library in my own home on many of the subjects that are dear to me, but some of the material does not include the latest findings or developments, and well, it certainly isn’t a university library. That requires time on the web seeking sources that carry weight or lead to something that does. Rather than grow weary of sorting through the fluff, I find myself having a wonderful time tracking down men and women who have thought similar thoughts, who have been closer to source material, and who have developed worldviews close to or diametrically opposed to mine. This is the thrill of creation. Taking the materials at hand and molding something unique that can be shared. I have received supportive commentary based on the first half or so of the manuscript. That is encouraging. Many folks that are familiar with my general thoughts on subjects related to Job do want to see me develop these into something cohesive. I do, of course, hope that others (even those that don’t know me personally) will find this work of value. In the meantime, I intend to enjoy the journey from scribbled notes, to polished manuscript. Twitter. All the rage for “everybody” (really, over 1 billion users as of now) but still a mystery to many of us. How does one say something meaningful in 140 characters – or fewer? Does it matter, or is it just another way to grab time from an already overloaded schedule? Must I twitter? Every so often I delve into the world of “things helpful to authors.” In this case, though, I think the information has a much broader interest level. 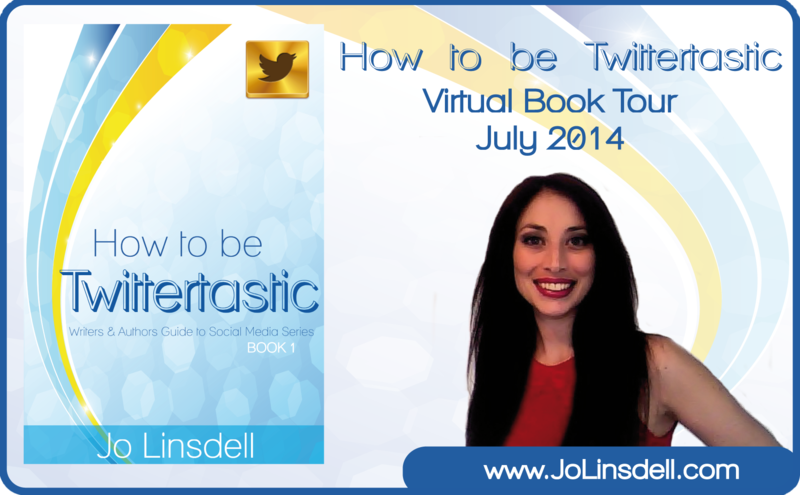 Jo Linsdell’s new book, Twittertastic, is written for authors; however a huge portion of the material would also apply to anyone who wants to get something out of the Twitter experience. Jo, in her usual manner of clarity and brevity, introduces the reader to the fundamentals of Twittering. How to set things up, how to find people of interest to follow, how to get yourself noticed, WHAT to tweet and where to find content. Also, as is her habit, she includes pages and pages of links and references to get you started on the “but where do I find?” part. You really DO want this one in Kindle format, those hyperlinks are terrific. Jo also researches her books and provides the statistics and supporting content that drive home her points. For instance, tweets with images garner a 40% greater response from tweeters than text posts. Jo shows you where and how to find image content, how to upload and how to capitalize on it. As I mentioned, I am greener than the newest newbie in this world of word-spurts, that’s why Jo’s explanation of #hashtags, @addresses and lists, as well as when and where to use what is so helpful. She makes it all seem so easy! Why, you ask, should someone listen to this particular voice in the crowd of “social media experts?” Because Jo is an internationally bestselling author and illustrator. Each year she conducts PromoDay to bring writing industry people from around the world together. She also manages a blog specifically for Writers and Authors. I should also mention I count her as friend and colleague. 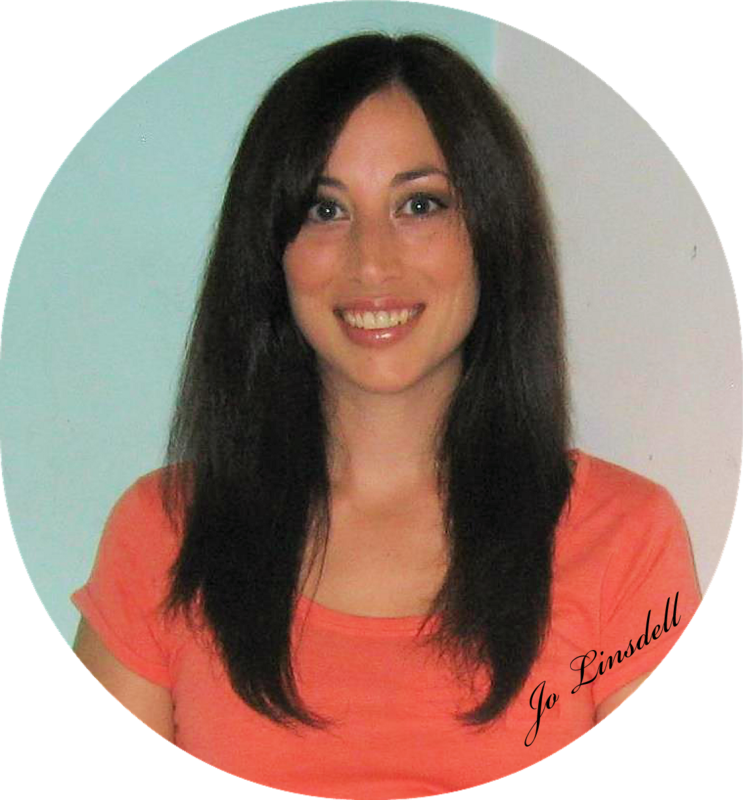 Jo Linsdell is a bestselling author and illustrator and internationally recognized marketing expert. She is also the founder and organizer of the annual online event “Promo Day” (www.PromoDay.info) and the Writers and Authors blog (http://WritersAndAuthors.blogspot.com). To find out more about Jo and her projects visit her website www.JoLinsdell.com. Here, then, are all the great places you can find Twittertastic (the first in a series of Social Media for authors). Jo graciously asked me to provide a review of her new release as part of her book-tour-in-progress. I have to admit I am quite honored and shall give her the full Alcove Treatment. First the basics. 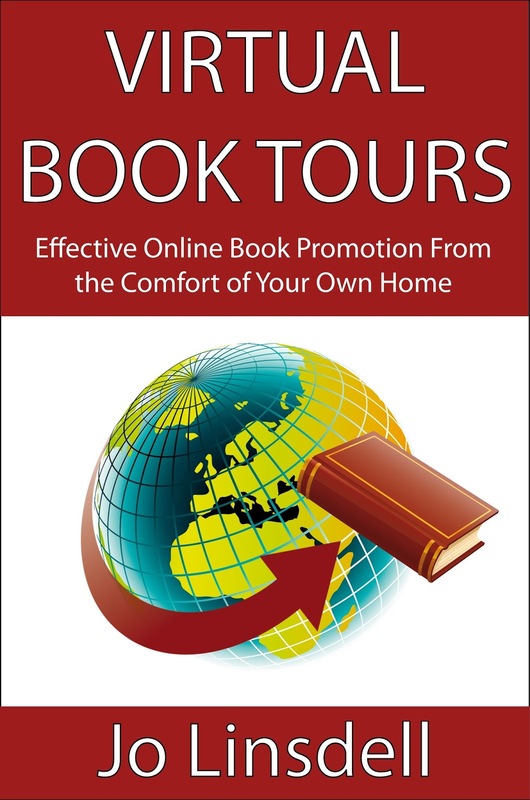 Virtual Book Tours are a great way to create a buzz for a new release, or to put life back into an older publication. This book takes you through everything you need to know to be able to set up and carry out a successful virtual book tour. You’ll find it packed with links, tips, and advice to help make your tour a hit. I don’t often visit the world of writing on my blog. Most of the writers I have interviewed were invited to contribute to a special interest of the time, such as research for books on science fiction or history or some other topic I was delving into. Sometimes I just get excited about something I’ve found that really helps me as I work through my own writing. Most of the time, I stick to building my platform and letting my fans and readers get to know me. That process is rooted quite deeply in how a blog is managed. I adore many of the friends I have made over the past couple of years as I have become more deeply involved in social media. I probably spend far more time on Facebook than I should; it is, however, my main source of “outside world” contact. Granted, that can be a bit skewed. What I have noticed is that many of the places I visit, the groups that have included me in hopes of my contribution, and the pages that are created for various and sundry books, products, or people, have become overwhelmed with advertising. Some of my most cherished groups have clamped down hard on hawkers and provided a day or a place to “hang out your shingle.” Then, the managers work hard to keep the communication as informative as possible. Many marketing gurus in the book industry will tell you that blasting your new release in a dozen or more groups/pages in social media is looked on as spam and does more harm than good. Sadly, I tend to ignore most of those announcements, focusing more on the informative chats and concentrating on building my network. I must smile as I write this, because I almost missed a review on my own book with this inattention. So, where can you express yourself, tell people about your latest work, define for the world the thing you most want to say? On your blog. There are books on how to structure a really successful blog, whether you want to sell books or not – and I will look at them in coming weeks. Right now I want to talk about Jo Linsdell and her marvelous little book about tours. Blogs are wonderful things if used to their greatest advantage. I use mine as a quiet place to express my discoveries, share my wonder, and build an audience for the way I think and write. In that process, it is often fun to entertain a guest. This, of course, is what happens in a blog tour. It is a time when you have someone in for tea (or coffee) and chat about a mutual interest. Jo shows you how to use that chat to the best advantage of the host and the guest. There are rules one should follow to be a good guest and a good host. If you want to discuss some aspect of a work in progress, then you need to find blog hosts interested in your topic, the way you work, how you write, where your inspiration comes from. As noted, I have invited guests to share their point of view on a number of topics. It gives my blog life, draws traffic and, well, I usually learn something very interesting. I learned a great deal from Jo’s book. She will take you through all of the steps of organizing, managing, closing and analyzing a blog tour. This little book is packed with page after page of links and references to help you find the blogs that fit you like a glass slipper. There are even commercial resources you can take advantage of, if you don’t feel confident enough to manage the first tour on your own. One of my favorite parts (since I’m so obsessive when it comes to organization) is how you think through the process of organizing. What do you want to accomplish? What is your goal for the tour in general? (Don’t cop out here and say – “sell books.”) Think about what is most important about your work. Do you write fun youth fiction where the character grows? Is it steampunk or scifi fantasy? Do your characters portray historical personalities? If you know where you are going, then you have a much better chance of picking effective blog hosts (ones that will actually welcome you) and you will know what type of blog posts you want. Reviews are only one. There are interviews (of you and your characters) or feature stories. Jo knows I like to do book reviews, and that is what she asked of me. As it happens, I also work with a small publishing company, and marketing is one of our highest priorities. Her book has saved me hours of research combing through the internet. All those feeble attempts to have volunteers help me dig up suitable blogs for tours for our authors became passé the moment I read her book. For this I will be forever grateful! People are busy and volunteers do have lives. I think that Jo has addressed a really important aspect of the cyber world, and she has given clear and sound advice. Exchanging ideas, progress, thoughts, and connections in a media that allows reflection and preparation has a very different flavor from the “buy me,” “like me,” freebie hurly- burly of social media. Don’t get me wrong: I believe that there is a place and time for marketing on the big network sites. But I much prefer the path described by my friend and colleague, Jo Linsdell. For more information about Virtual Book Tours: Effective Online Book Promotion from the Comfort of our own Home, please visit http://www.JoLinsdell.com or contact webmaster@JoLinsdell.com. Today we shall do something a bit on the lighter side of things. Way back in March I posted a bit about how a writer finds a path between showing passion for their subject without getting pushy with the reader. If you are truly passionate, you want to share the things you love so much and not overwhelm someone and chase them away. I had asked Dianne Gardner to share a bit of her style in the process of writing her series, Ian’s Realm. That article can be found here. Well, here we are many months later and Dianne has become a fast friend and we’ve managed to get mixed up together in a number of projects. I have read all of her books and novellas with the exception of Cassandra’s Castle. Never fear, I have an advance copy sitting on my computer. I find the series absorbing and rollicking good fun. In fact, Ian kept me company into the wee hours of the morning during a recent hospital stay. Add to a great story a truly talented artist and you have an irresistible mix. 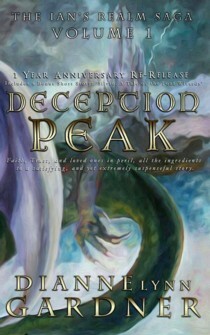 I have been invited to be one of Ian’s stops as Dianne showcases her anniversary edition of Deception Peak. The book has undergone a complete remake with its new publisher, PDMI Publishing, LLC. Re-edited, re-mastered cover, maps, character reference charts and other great things make this not only a great story; it’s a collector’s item! My duty in the ceremonies is to let Dianne talk a bit about what the future holds for Ian’s Realm. My vision for the series! When I began the Ian’s Realm Saga, the goal was to complete the three-book story arc and get it published. Simple undertaking (not!). Once the trilogy was completed something unsettle remained inside of me though, as if I hadn’t really written the whole story. There just wasn’t enough magic. The history was missing. And there wasn’t enough explained about the Meneks or the Kaemperns and their cults. Hence A Tale of the Four Wizards took shape, and a very loveable character named Silvio emerged. What happened to the old wizard in that first short story couldn’t be the end, and it wasn’t. You see him make a cameo appearance in The Dragon Shield (edited after the short stories were completed). There was more! After Rubies and Robbers, I personally didn’t want to leave the Realm. I already missed Ian. But of course, I’ve already introduced plenty of dynamic personalities to carry on. Fast forward a few years and we have Ian’s daughter Cassandra. Her story came from some real life events that occurred not long ago. I was helping a friend do some interesting research on her family tree which branched into Portuguese royalty at the turn of the century. The more I researched the more I got sidetracked until I discovered the last king of Portugal, Manuel II. Such a compelling story, I needed to write this young king into one of my characters and so enters Martim of Cassandra’s Castle. Cassie is one of my favorite tales and I’m not sure why. Having had so much fun filming The Dragon Shield , it was time to make a trailer for Cassandra’s Castle, though the book won’t be out for a while. Our crew filmed at Fort Worden State park and Manresa Castle here in WA, and everyone was so excited about working together, we vowed to make a movie. When I say crew I’m talking about a group of very talented, and experienced people. You can meet them on my website. Currently, we’re writing the script, and making plans. I’m not sure how long the movie will take to film but we’re working toward that being our goal. 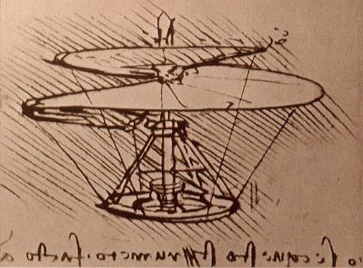 As far as other visions for the series? Anything! Like a piece of artwork I want to sculpt this story into 3D with audio and music (note the lovely music that Lexa Rose wrote with the lyrics to the songs of the Realm), audio narrative, a Boxed Set, a large coffee table edition with full color illustrations and gold leaf. We’ll see where this takes us, but it’s a project! And that’s my friend, Dianne! Full of never-ending energy and ever-growing ideas. She left one thing out though, I really, really want to see Xylon and Promise dolls out by next Christmas…you’ll have to read to learn why. So far the series includes: Deception Peak, Dragon Shield (scheduled to be re-released), Rubies and Robbers (also scheduled to be re-released), and four novellas about the wizards. In process is Diary of a Conjurer and Cassandra’s Castle. Dianne’s Art Site (there is some amazing fine art here, folks). And for goodness sake! Don’t forget the launch party! After getting all the rest of us up and running she was a bit stumped for her own piece, I asked her to post something about her current release, Marco Antonio & Amaryllis. After all, there are several posts in the Alcove about historical fiction, a few on research, and a few things on what makes a good story when it’s wrapped around an event in history. This is what she had to say. Truly, at heart I am a Paranormal Romance reader. I love all things Paranormal (Alright, maybe except for Vampires and Werewolves…! ), yet I’ve also had a lifelong fascination for Historical Romance stories. More specifically Medieval times, Ancient Egyptian and Ancient Greek Mythology. Those are eras that have always caught my attention. So, upon choosing a story to read, I tend to always lean to those genres. My biggest issue had always been finding stories that combined all of those elements. They are incredibly hard to find. I was born and raised in the state of New York, which is a melting pot of culture and diversity. Every day people interact with each other no matter what their race, creed and color. “Multicultural”, is simply a way of life. This is how I was raised – to appreciate everyone’s individuality and respect their differences. The day I decided to write a story, for me, it was only natural that this every day diversity that I knew so well be incorporated into the story. This is how I developed my style of writing. The day I started writing “Marco Antonio and Amaryllis”, I played on my own personal knowledge of the Spanish culture (being Hispanic myself), as well as a specific time in history. Doing some research (which took no time at all) I came across the Anglo-Spanish war of 1585. During this time the English invaded Spain: and I thought to myself that this time in history would be ideal for writing an Interracial Medieval story. I simply knew that if in THIS day and time there are so many interracial couples, they MUST have existed in that time as well. Only, in that time, it must have been frowned upon and taboo, as most people fear what they cannot understand. Immediately, upon starting my venture, my natural affinity for the paranormal simply meshed into the story. I played on the beliefs of the people from that time. Many of them lived in perpetual fear of witch-craft and things of that sort. 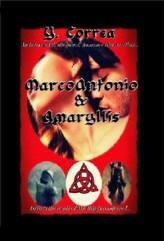 Just like that, the story simply came to life and “Marco Antonio and Amaryllis” was born. The original manuscript had been written in Elizabethan English, however realizing that many people today have a hard time understanding that method of speech, I changed it to modern English while keeping the Medieval feel and content. There are some Spanish notes in the story, and those were written in Medieval Spanish. Our language too, has changed throughout the years. Stories like the well know and admired classic “Romeo & Juliet” inspired me, as well as “The Romance of Tristan and Isolde”, “Stardust” the novel, was another great inspiration. Withal, I remained true to my roots and heritage and tried to portray the diversity of the people of that time as best I could. It may seem odd, but as I was writing (much like it happened with all of my stories prior), my characters took on a life of their own. They came to thriving life, and it very much felt like they were the ones narrating the story to me, and I was the privileged individual whom they’d chosen to write their story. His focus returned to her. What cruelty life offered him, that his one true love was unattainable. Yet, obtaining her was his only conviction – his only mission and obsession. She was in fact the most beautiful woman he’d ever known both inside and out. She’d yet to fully be his. But he was certain, that one day, she would be his – totally and completely. He would fight for her until he exhaled his last breath. Even if that were the very cost. However, for today, he’d be content (as he always was) with just looking at her from afar. Contemplate her beauty and know – in the depths of his soul – that this was a battle worth fighting. “Altivo, stop! Para!”, digging his front hooves into the dirt Altivo came to a screeching halt. MarcoAntonio had been so preoccupied in his train of thought, that he’d barely realized that they’d arrived. His body slightly thrust forward with the abrupt stop. He leaped off his horse, checked his hip for his sword and took in hand his ebony shield. Even though it was the middle of the night, time and space was never to be trusted. Things lurked everywhere. In his experience, he knew that the most unexpected things could happen, at any given moment. It was always best to be prepared. Unhinging a small sack from Altivo’s saddle, he tossed it lightly in his hand. These small jewels were what he used as pebbles, to toss at the balcony of her quarters. What use did he have for them anyway? He owned millions. Yet, he wanted none. So, why not use a precious stone to tap the window of his precious treasure…? Tossing the first blood ruby, he called – his Spanish accent as natural as the air he breathed, “Psst!” no answer. He tossed another, this time an emerald, as green as the forest, “Psst! Amaryllis! I am here…”, he called out again in a strong whisper. He listened. He heard some rustling around. The first thing that he caught a glimpse of was her hair as it came floating over the edge of the balcony wall, and grazed the ledge. Then her head leaned over, and she looked down…. There they were! Those eyes! That smile! Enough to melt even the coldest of hearts. Everything about her made his heart skip a beat. Her long luscious, silky hair, that was the perfect combination of fire and ice all neatly intertwined into the most vivid shades of red and gold. Her bright, sea blue eyes which seemed to carry the entirety of the ocean within them. The milky brilliance of her skin. The birthmark that was placed just above her lip, which seemed to be set in just the right spot to accent her lips and all of her beauty to perfection. Her body! That alone was enough to make any goddess jealous. She was not too thin: MarcoAntonio appreciated a woman that looked healthy. Amaryllis was just right, in every way. At least in his opinion. “You are late…!”, she pointed out. “And?”, he replied with mockery lingering in his voice. “Let them become aware!” he raised his voice, still with lightness and taunting sounding in it, “Should they come, I will slay them…!” he pulled his sword from his hip and began a little dance. Bouncing around, sword in hand, he swung it in the air as if he were fencing against the strongest of men, “I will give them a little of this! Then… a little of that!” He jumped in Altivo’s direction, “And my trusted steed, shall save me, and whisk me away into the darkness of night,” then he turned to look up at her, “of course, never, before first having valiantly saved, ma’ lady.”, then tossing his arm into a whirl in front of him, he bowed at her graciously. “’Tis, ma’ lady.” and he smiled at her. http://rachaelrippon.blogspot.com.au/ (where the post will be). Last week I went off and visited Mari Collier as part of “The Next Big Thing.” My participation in the project can be found here. This week, Stacey Brewer is visiting me. Her blog can be found here. Once she has draw answers from her friend, Ivy Hanalea she will post them and then pass the torch to Ivy, who lives here. Deep breath! So, here are Stacey’s answers to questions about her current work in progress. I hope the originator did not think singular because I don’t think there is a writer on earth that can work on only one WIP at a time! That’s actually the toughest question on this list! My working title changes almost daily. Today, it’s “Crystal Cave,” but yesterday it was “Edge of Shadows.” Who knows what it will be by the time it’s ready to publish! I heard a line in a movie incorrectly, and it created all sorts of new questions and ideas that I want to explore. Specifically – what happens when a character that is almost purely selfish suddenly discovers he wants to protect someone other than himself? Actually, I have a Pinterest board dedicated to that question! 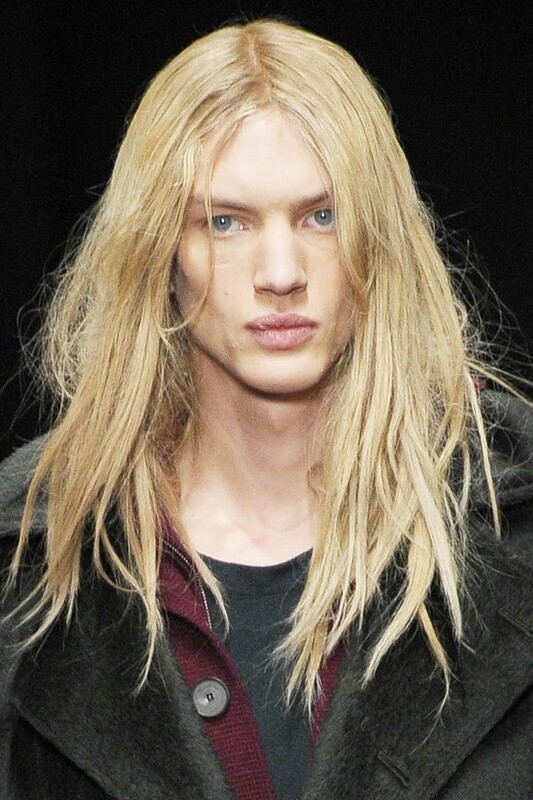 Celie, the female main character, looks a lot like Irish singer Janet Devlin, and Orin, the male main character, looks exactly like German model Paul Boche (in this picture). Celie Bryant – a master potion-maker and witch of great talent, is called upon by the Sidhe to renew the potion that keeps the legendary Spear of Lugh safely sleeping before a rogue Sidhe succeeds in waking it fully and using it to tear the Veil between the worlds. I hope to find an agent and traditionally publish. “The Strangely Beautiful Tale of Miss Percy Parker” by Leanna Renee Hieber is probably the closest of anything I have read. It uses a historical setting mixed with otherworldly creatures and events. “Percy Parker” is set in the Victorian Era and mine is set in the Roaring ’20s. All of the great books I’ve ever read, and the hope that someone, somewhere will love my book as much as I love so many others. There you go! Visit Stacey and Ivy to see the continuing saga of how writers manage to guide their creative spirits as best they can until they capture a piece of their imagination for the fun and edification of their readers.